Xandari is set in Tacacorí de Alajuela on a ridge overlooking Costa Rica’s majestic Central Valley in the foothills of Poas Volcano, 1200 meters above sea level. We’re 20 minutes (7 kilometers) from Juan Santamaria International Airport, but a world away. 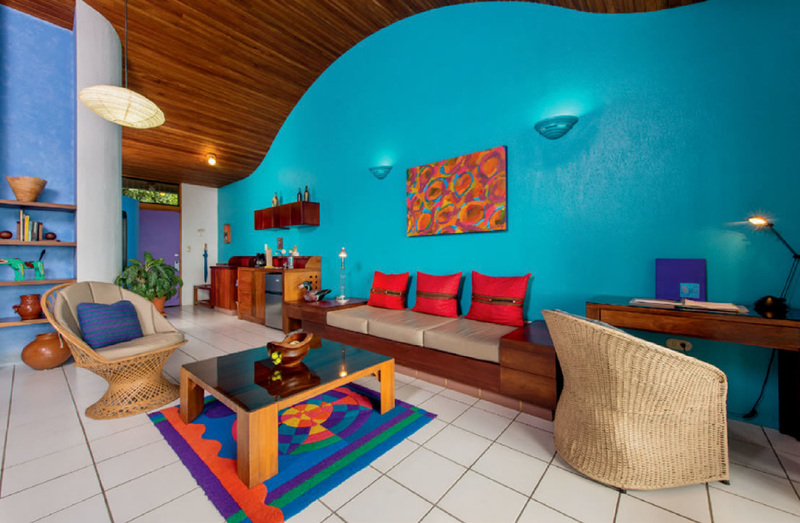 A unique creation with tropical colors and contemporary design. Xandari Resort & Spa is a tropical paradise of 24 individually designed villas nestled on a 40 acre plantation overlooking the Central Valley of Costa Rica, and only 20 minutes from the San Jose International Airport. At an elevation of 3900 feet (1200 meters), Xandari enjoys a near–perfect temperature of around 70 degrees Fahrenheit all year. Peaceful, colorful, intimate, elegant simplicity… are words that come to mind when describing the dining room and dining terrace with a panoramic view of coffee fincas and the Central Valley. The focus is on the uniqueness and variety of Costa Rican cuisine, as well as international specialties. Each spacious villa, surrounded by gardens, has a large view terrace for enjoying the sunset and lights of the valley at night, plus a walled–in terrace for privacy and solitude. Transfers from San Jose’s Juan Santamaría International Airport to Xandari area are $40 each way for a minivan with a capacity of up to 9 passengers.